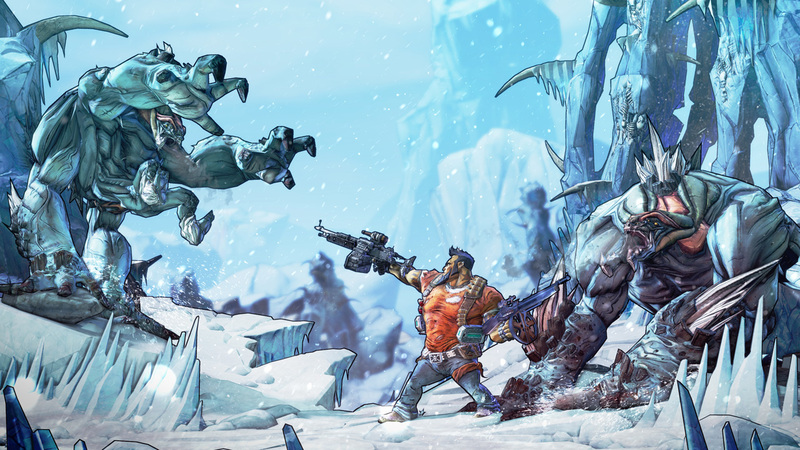 It's hard to find one description that encapsulates the overall experience of Borderlands 2, a summation of what you can expect from Gearbox Software’s latest first-person shooter/role-playing hybrid game. After many hours of facing down a multitude of bloodthirsty mutants, post-apocalyptic renegades, earth shatteringly gigantic monsters, automated robotic enforcers, frantically running through face-melting explosions, while wielding an arsenal so bizarre and multifarious that at one point I was using a machine gun that spewed agitating screams and death throes every time I squeezed the trigger, there is only one way I could describe Borderlands 2 - blissful pandemonium. 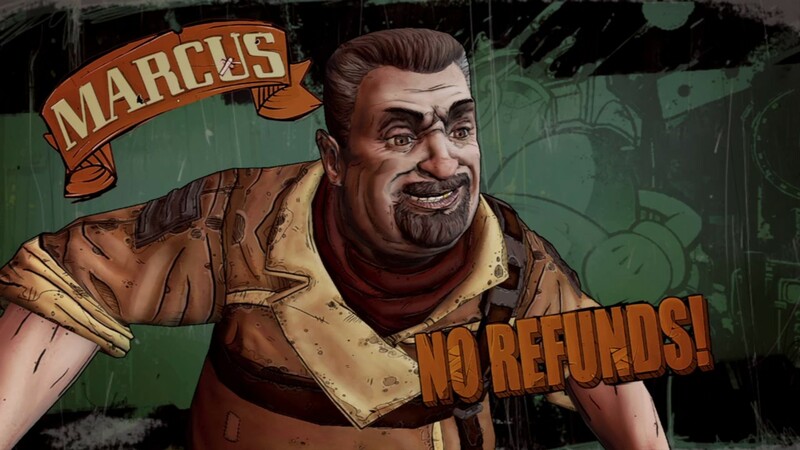 A sequel to 2009’s popular Borderlands, Borderlands 2 has you play as one of four unique characters: a stealthy ninja named Zero, who can create holograms of himself and turn invisible temporarily, a tactics focused commando named Axton, who can deploy upgradeable turrets into the field, a magic manipulating siren called Maya, who controls the battlefield by trapping foes in stasis fields, or finally as Salvador, a firepower-crazy ‘gunzerker’ who can wield two guns at the same time while soaking up a lot of punishment. Players are lured to the alien world of Pandora by Handsome Jack, the head of intergalactic weapons manufacturer Hyperion, in search of a fabled alien ‘vault’, supposedly containing treasures beyond imagination. This might sound suspiciously like the premise of the first game, but players will soon find themselves embroiled in a rebellion, as Pandora is being turned into an ecological nightmare by Hyperion under Jack’s relentless resource harvesting doctrines. 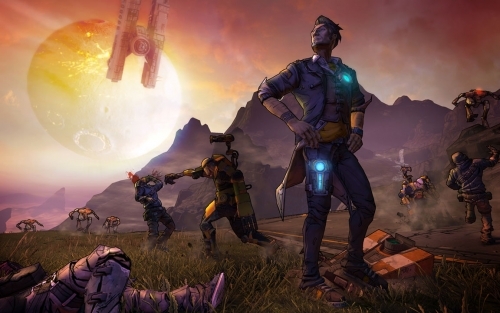 This time around, there’s a greater focus on introducing amusing characters, witty storytelling and finally, a much-needed antagonist in the form of Handsome Jack -- a painfully narcissistic megalomaniac, who is constantly taunting and berating you throughout the game -- something that was sorely lacking in the first Borderlands. Handsome Jack in all his maniacal, egotistical glory. That snarky douchebag. The guns are the true stars of the game, as they no longer feel like six different weapons merely painted in alternating colours. 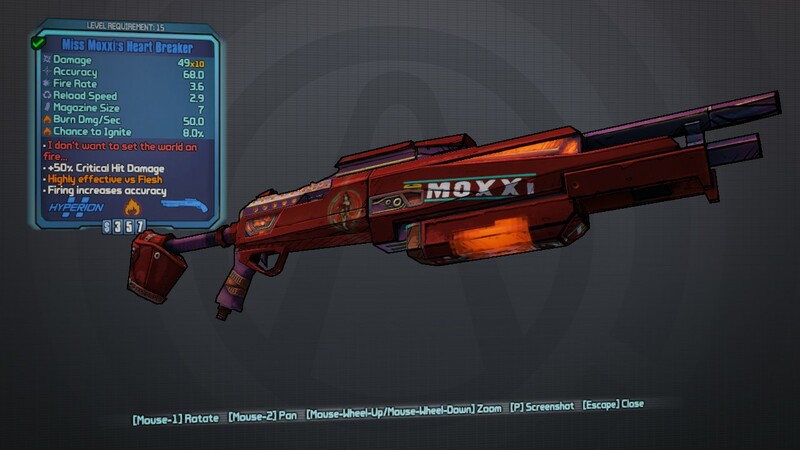 If you didn’t have a gun fetish before, you’ll most certainly have one after spending some time in Borderlands 2. Now, each piece of gratuitous ordnance has bizarre and fantastic capabilities that alter the traditional run-and-gun gameplay in surprisingly new ways -- such as guns that turns into an actual hand grenade upon every reload, weapons that get more accurate as you hold down the trigger, some consuming random amounts of ammunition with each shot, all the while inflicting very distinctive damage types including (but certainly not limited to) electricity, fire, and even acid. Weapon drops are plentiful, and you’ll always have shiny new toys to play with. There are also many different types of shields, grenades and character upgrades to be found in the game -- in fact, Borderlands 2 touts as having “87 gajillion” different guns alone, as all the equipment is randomly generated. With the exception of unique quest rewards, no two guns will ever be the same. These weapons and upgrades can be found all over the game, from the simple loot boxes scattered around the map, inside old washing machines, porta-loos and even in piles of alien poop. There’s nothing quite like the feeling of shooting an enemy in the face to have a rare gun explode from the back of his head. Just one of the many different weapon configurations for your delight. Another huge plus are the new environments - Pandora’s new look is much more diverse now compared to the painfully ho-hum, ochre desert facsimile that the entirety of the last game was. Players will find themselves fighting through vast, freezing glaciers and toxic underground caverns as well as the familiar Mad-Max inspired desert shanties -- a very refreshing and welcome change that compliments the outlandish, comic book aesthetic that Borderlands is so well known for popularizing. During the initial launch, Borderlands 2 did have a few problems with the PC version -- many players were plagued with connectivity errors that prevented them from playing with their friends online, as well as a few installation issues, having to reset their machines multiple times before being able to play. Gearbox claimed that these issues have been fixed. 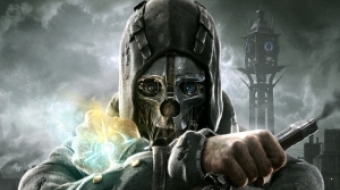 Steve: All in all, I have to say I am genuinely impressed and can heartily recommend this sequel, especially considering I ended up not completing the first Borderlands due to waning interest. If you’re looking for frantic and explosive fun, definitely consider picking this game up. Its value gets exponentially more entertaining when you add your friends to the mix. The game design in fact actively encourages and rewards teamwork. More players joining results in parties facing tougher, vastly more challenging enemies, and the chance to find powerful, rare weapons that would otherwise be impossible to come by. So Justin, what were your initial impressions going in? Justin: I was torn on this game, Steve. When I started playing I really felt like I was playing Borderlands 1 all over again. It starts out a bit slow, but as the game progresses the story really opens up. Characters that you meet actually grow and interact with the world. 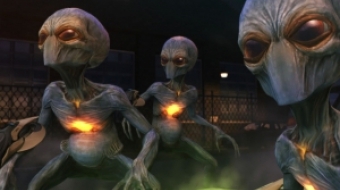 You really feel like you're part of the bigger picture and start to care about the fate of Pandora and its denizens. I must tip my hat to the writers and voice actors. Steve: I really wanted Borderlands 1 to succeed, so this game was kind of the saving grace I so strongly craved from the series. For new players, this is surely quite the treat, especially when the cooperative gameplay is considered. Were there specific flaws that stood out to you? Justin: I must say they could have changed a few things to make it better. I abhor the "Go get X for me, travel here, kill this dude, come back" quest system. It's bloody annoying. This is a futuristic shooter isn't it? Do I have to come all the way back to turn in every quest? Can't I phone it in? "Hey I killed Mr Ugly Pants. Here’s a picture. Just wire me my money thanks!" -- It breaks up the flow of the game. I thought game designers could have smartened up on this type of game mechanic by now as we've been doing this for decades. I also had connectivity and a few installation problems on my PC. Thankfully, this has been fixed. The game might be buggy, but no refunds. Steve: You know I had to switch to playing on the XBOX 360 eventually, a cost I’m certain disgruntled PC gamers experiencing the same issues won't be willing to bear, but for me, it was worth it. I guess console gamers can thank their lucky stars they don't have those issues. 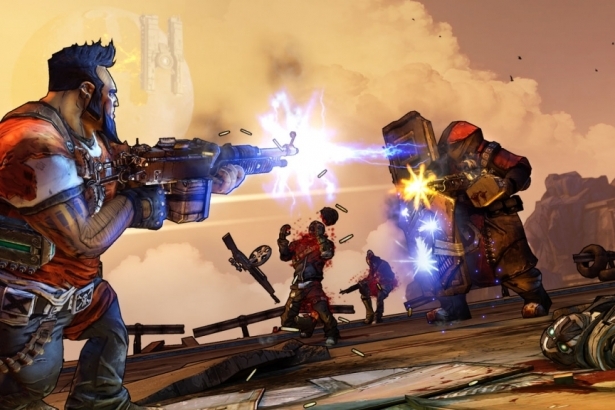 I think Gearbox were playing too close to genre conventions, but players familiar with the role playing/shooter hybrid genre might appreciate the familiarity. Although I agree, the interface for the quest systems was fairly clunky and cluttered, I ended up just skipping through any pop up menus with no real detraction from my overall enjoyment. Justin: The quests, although interesting, seem quite long as well, for this type of game. There's a fair amount of travel in between areas of interest sometimes, which may be a nice break between bouts of frantic shooting to some people, but I found grew weary of it after travelling up and down the same road at least 10 times. They waypoint system that allows players to travel quickly between certain points in the map was mildly helpful at best. There’s still a heck of a lot of footwork involved. I'm guessing Gearbox wants its players to explore all the nooks and crannies of Pandora for all those Easter eggs they’ve added to the game. 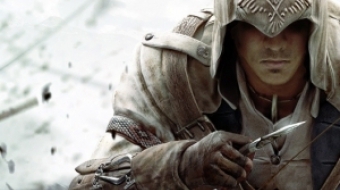 Assassin's Creed 3: The good, the bad and the glitchy. Is Ubisoft substituting flair over substance?